FOR some time now, the Bharatiya Janata Party has been on the lookout for historical icons. After building an impressive present as India’s largest party, it is only natural that it would now look to construct a notable past. Given the colossal role that the Congress played in the freedom struggle, the BJP has necessarily had to poach some Congressmen for this task, the main figure there being Vallabhbhai Patel. Since Patel leaned to the right, however, his inclusion in the BJP pantheon isn’t all that incongruous ­— after all the Congress that led the freedom struggle is the collective inheritance of all Indians, not just the present Congress party. 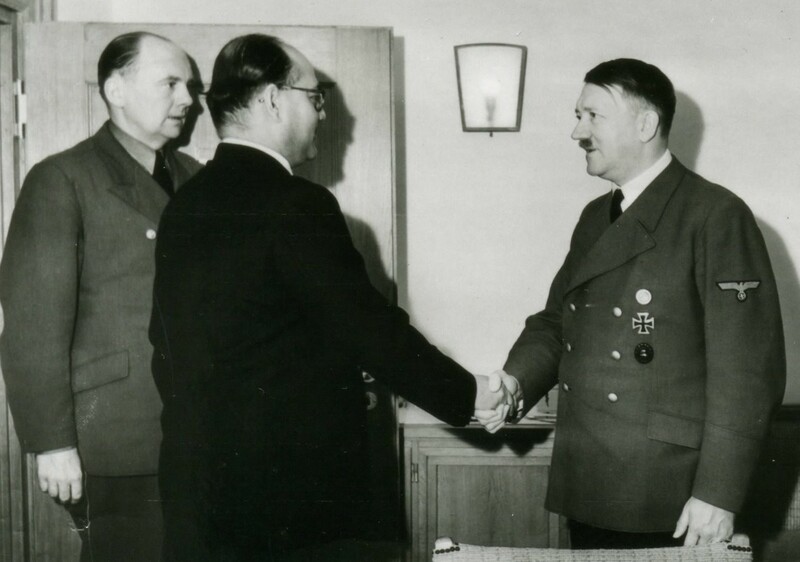 What is more difficult to swallow is the BJP’s sudden love for Subhas Chandra Bose. Bose’s popularity has endured despite almost being ignored by the powers–that–be in Delhi since 1947. The BJP has sought to hitch its wagon onto Bose’s appeal and in its latest move declassified papers related to Bose on January 23, his birth anniversary. Unlike Patel, however, Bose was a self–described leftist. What’s more, he was expelled from the Congress precisely because of the extreme left, anti–imperialist positions he took, which threatened the right wing of the party. The left had been a growing presence in the Congress all through the 1930s. However, the party was still a largely conservative body and Congress pressure groups such as the Congress Socialist Party or the Royists (followers of MN Roy, founder of the Communist Party of India) did not control the levers of the organisation. In 1938, the left wing achieved a major success with the election of its firebrand leader, Subhas Bose, as Congress president. This was not, however, a break with the right, and Bose had been elected with Gandhi’s support. 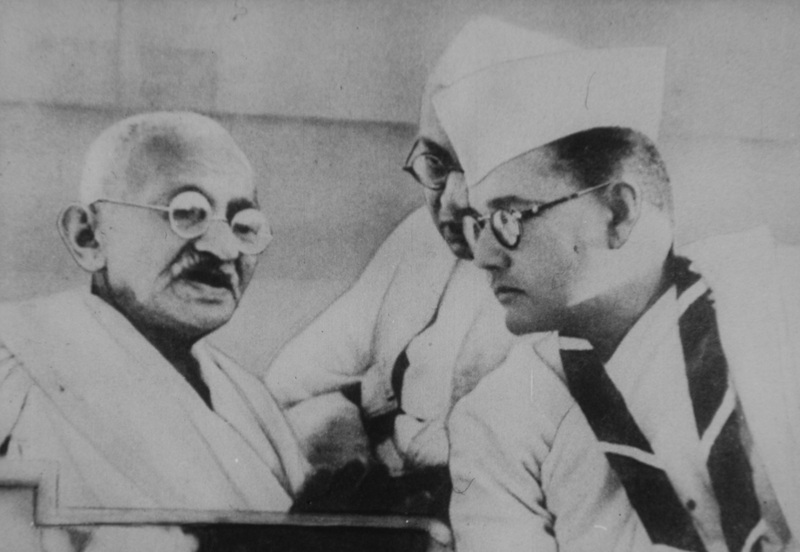 Matters came to a head in 1939, however, when Gandhi made it clear that he did not want Bose to stand for re–election. For the first time since 1920, Gandhi, however, was opposed within the party. Bose decided to stand for re–election nevertheless, challenging the Mahatma’s candidate Pattabhi Sitaramayya. 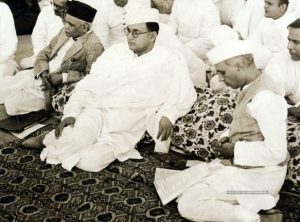 Bose’s campaign was centred on an issue that had split the Congress’ left and right wings: cooperation with the British. The right wanted to collaborate with the British and work a new form of government, laid out in the Government of India Act 1935, which promised a substantial measure of democratic government at the provincial level. The Congress left, however, wanted no truck with the Raj at all, and preferred to launch a mass agitation — a demand that had become more urgent given the turmoil in Europe as World War II loomed. The election was, therefore, fought on ideological lines. On Gandhi’s side stood the entire old guard of the Congress. In a speech at the time, C Rajagopalachari warned that Bose’s boat was “leaky” and the Congress should trust the “old boat but big boat, piloted by Mahatma Gandhi”. (Nine years later, when Rajaji was made governor of West Bengal, he was taunted with shouts of “leaky boat” in Calcutta). The Congress, however, was now increasingly growing impatient at the thought of cooperating with the British. The entire Congress left came together to award Bose a stunning win of 1,575 to 1,376 votes. This was, however, to be a pyrrhic victory for Bose. Gandhi soon announced that this had been a personal defeat for him and, in a typically loaded statement, remarked, “After all, Subhas babu is not an enemy of the country”. In response, the entire Working Committee, loyal to the Mahatma, resigned (the resignation letters had been drafted by Gandhi himself). The only person who remained on, apart from Subhas Bose himself, was his elder brother and a giant of Bengal politics, Sarat Chandra Bose. At Tripuri, as the Congress session got underway, GB Pant, another key member of the Congress right–wing, moved a resolution asking Subhas Bose to appoint a working committee “in accordance with the wishes of Gandhiji”. This was patently undemocratic and practically overturned Bose’s valid election as president. Vallabhbhai Patel, who was a bitter ideological and personal rival of Bose justified this by saying, “The lion becomes a king by birth, not by an election in the jungle”. Bose, now pushed into a corner, sought a rapprochement with Gandhi. He wrote to him, agreeing to resign as long as Gandhi would “resume the struggle for national independence”. Gandhi, though, was in no mood for compromise and now “seemed determined to oust him”. Nehru, still sympathetic to Bose, wrote to Gandhi pleading that to “push him (Bose) out seems to me an exceedingly wrong step”. Gandhi, did not bend, refusing to either launch a mass struggle or work with Bose in the Congress. Totally outmanoeuvred by Gandhi, Bose resigned from the president–ship of the Congress. Rajendra Prasad, another right–winger, was appointed in his stead. Bose, though, did not give up on his ideology and formed the Forwards Bloc, as an umbrella body for Congress leftists. He also did not abandon his dream of an organised movement against the Raj. The Congress ­­— still looking to work with the Raj and anxious to crush Bose’s rebellion — now moved to stop any sort of mass movement against the British. Resolutions were passed which declared that no Congressmen could launch Sataygraha without the express permission of the Working Committee — a body firmly loyal to Gandhi. Bose protested against this move and was immediately removed as president of the Bengal Provincial Congress as well as disqualified from holding any Congress post for three years. After this final break with the Congress, Bose became increasingly militant in his language even as World War II broke out with in Europe. To consolidate his base in Bengal, he fixed a seat sharing agreement with the Muslim League in the prestigious Congress stronghold of the Calcutta Municipal Corporation. As a first step, he aimed to launch a movement to remove Holwell’s monument, which publicly commemorated the Black Hole incident during the time of Siraj–ud–Daula, the last Nawab of Bengal. It was a strategic issue, chosen to unite Hindus and Muslims against the Raj. The British, alarmed at this and acutely aware of Bose’s popularity in Bengal, decided to arrest him a day before the movement was to start. Thus ended Bose’s role in the direct politics of India. He would escape from this detention, famously outfoxing the feared Calcutta CID. His radical stand for an uncompromising attitude towards the Raj — often derided as hot headed — was actually proven correct when the British brusquely dismissed all offers of Congress cooperation. The mass struggle that Bose had urged in 1939 ultimately came about in 1942 in the form of the Quit India movement. After Bose’s disappearance, his elder brother and mentor, Sarat Bose, left the Congress in 1949 after a futile attempt to ensure a united sovereign Bengal (as an inheritor of CR Das’ mantle, the communal partition of Bengal was obviously opposed by him). Sarat Bose then tried to launch a coalition of left parties to take on the Congress in West Bengal as well as SP Mookerjee, the founder of Bharatiya Jana Sangh, the BJP’s earlier avatar. He had some limited success, even winning an Assembly by–election in 1950 against the Congress candidate in Calcutta but died within weeks of the result. The party Subhas Bose founded, the Forward Bloc, would, two decades later, go on to be part of another “left front”, this time led by the Communist Party of India (Marxist), that would rule West Bengal till 2011. MOHAMMAD ZIAUDDIN | REPORTS out of the Rohingya refugee camps in Bangladesh usually focus on the massive humanitarian efforts carried out by host country and its international partners. Together, they have supplied food, education, housing and medicine for hundreds of thousands of people with no other place to go. Even more remarkable is what has not happened…. LOOK EAST © 2018 – all rights reserved. LOOK EAST India authority is not responsible for the content of external sites.